On January 29, 2019, the Korea-Russia Science and Technology Cooperation Centre (KORUSTEC) with the Higher School of Economics organized the 2nd Korea-Russia Science and Technology Policy Workshop on Science, Technology and Innovation Policy. 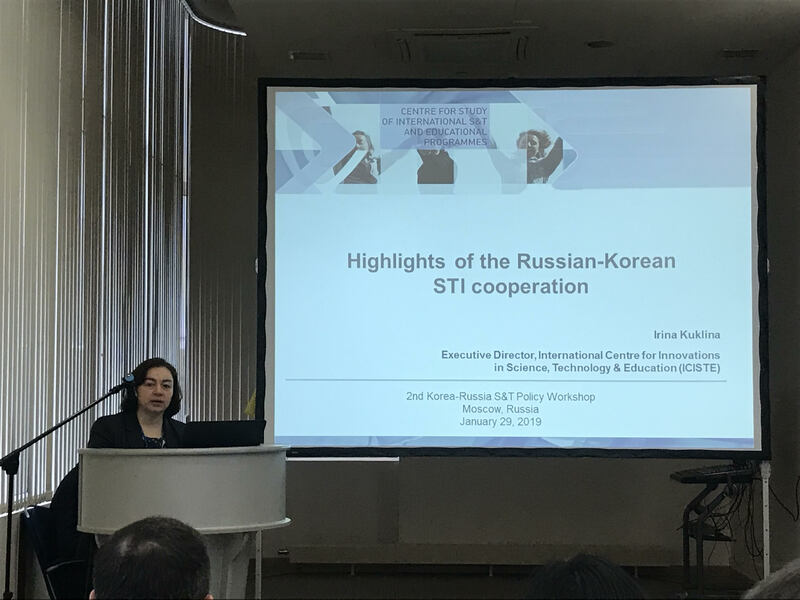 Representatives from different Russian and South Korean organizations related to STI policy took part in its work. The Russian side was presented by Ministry of Science and Higher Education, Ministry of Economic Development, Russian Science Foundation, National Research University Higher School of Economics, Moscow State Institute of International Relations and International Centre for Innovation in Science, Technology and Education. 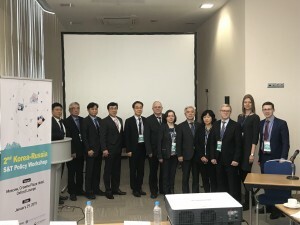 From the Korean side in this event took part representatives from Korean Embassy, Korea-Russian science and technology cooperation centre, Korea-Russian Innovation centre, Korean Institute of Industrial Technology, National Research Foundation of Korea, Hankook University of Foreign Studies, Science and Technology Policy Institute. 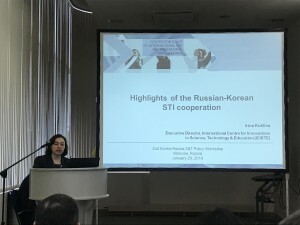 Irina Kuklina, an Executive director of the International Centre for Innovation in Science, Technology and Education, participated in panel session with key-note speech, dedicated to the topic “Highlights of the Russian-Korean STI cooperation”.